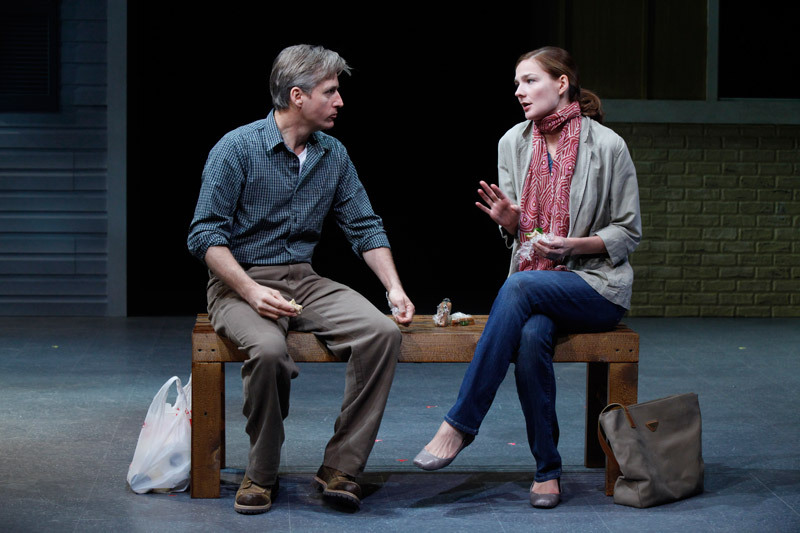 Currently viewing the tag: "Olivia Scott"
Winner of the inaugural Horton Foote Award for Most Promising New Play of 2010, MIDDLETOWN is a deeply moving and funny new play by Will Eno that explores the universe of a small American town. As a friendship develops between longtime resident John Dodge and new arrival Mary Swanson, the lives of the inhabitants of Middletown intersect in strange and compelling ways. A powerful and poignant meditation on birth, death and points between. (Mrs. Swanson) Past theatre credits include: MIDDLETOWN (Vineyard Theatre) FRAN’S BED (Playwrights Horizons) and LOBBY HERO (Playwrights Horizons and the John Houseman Theater), Woody Allen’s WRITERS BLOCK (Atlantic Theater), the West End production of THIS IS OUR YOUTH, and, most recently, Christopher Durang’s THE MARRIAGE OF BETTE AND BOO (Roundabout). Heather can currently be seen in the HBO comedy series “Bored To Death” opposite Zach Galifianakis and Jason Schwartzman. Her upcoming film credits include What’s Your Number? and the independent features Valley Of The Sun, Weakness and Ashes. Her past film credits include Breaking Upwards, Choke, Miss Congeniality (1 & 2), Bewitched, Two Weeks Notice and You’ve Got Mail. 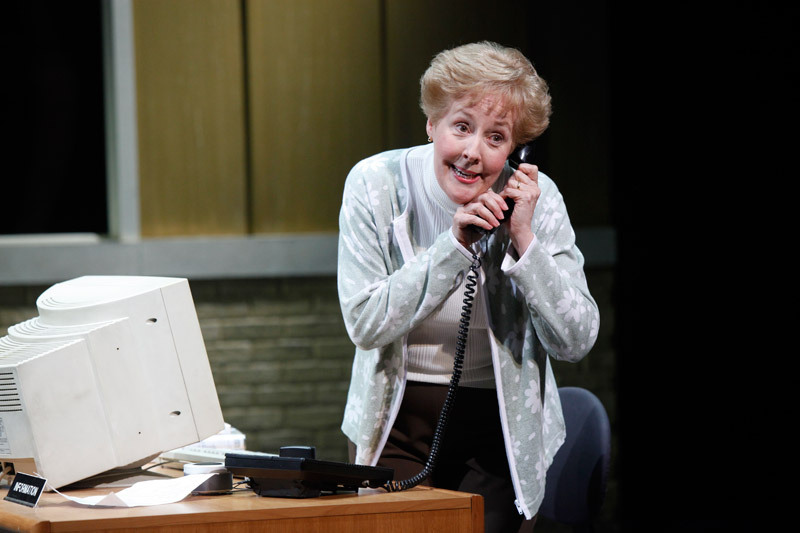 (Aunt/Female Doctor/Intercom) Broadway: AUGUST: OSAGE COUNTY, PROOF (Tony/Lucille Lortel Nom.) Other: MIDDLETOWN (Vineyard Theatre), QUALITY OFLIFE (Arena Stage), Ethan Coen’s ALMOST AN EVENING (Atlantic Theatre Co.) THE EVILDOERS (Yale Rep), Edward Albee’s PETER AND JERRY (Second Stage/Drama Desk Nom. 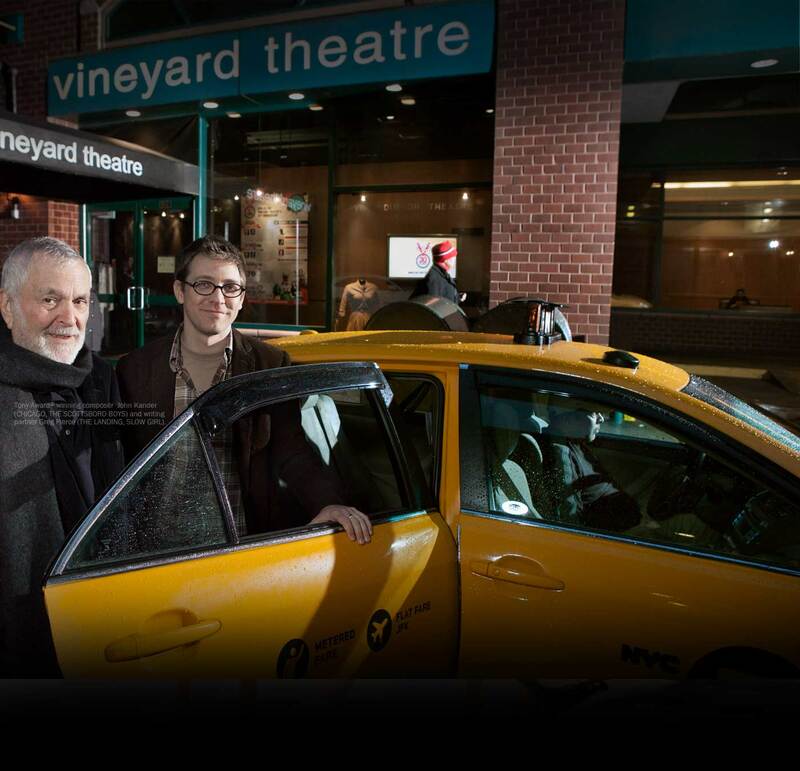 ), SATELLITES (NYSF), HOW I LEARNED TO DRIVE (Vineyard Theatre/Original Cast), DISTRACTED (Mark Taper Forum), BLUE WINDOW (Manhattan Theatre Club), HELEN (NYSF), THE RAINMAKER (Helen Hayes Award), OLIVER PARKER! (The stageFARM). Film/TV: “Fringe”, “Law & Order” (“Trial By Jury”,“SVU” and “Criminal Intent”), “Judging Amy”, The Exonerated, Unbreakable, The Eternal Pedicure, Henry and The Trap. (Librarian) Launched her theatrical career playing Minnie Fay in HELLO DOLLY with Ethel Merman. She then joined the original production of THE HOUSE OF BLUE LEAVES. She also appeared on Broadway as Mickey in MY ONE AND ONLY and starred in the Off-Broadway musical CUT THE RIBBONS. She co-starred as Sister Mary Leo in NUNSENSE: THE 20th ANNIVERSARY ALL-STAR TOUR. She also starred as Sister Amnesia in NUNSENSE and NUNSENSE JAMBOREE. 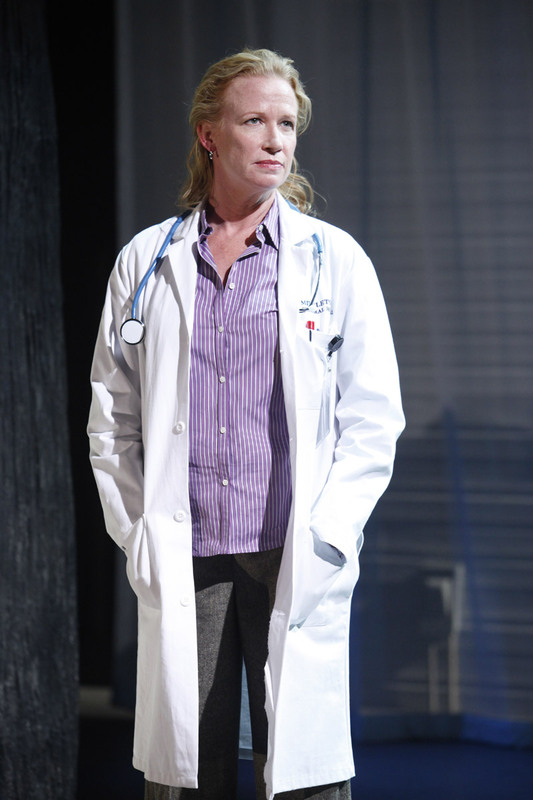 She recently appeared in Vineyard Theatre's production of MIDDLETOWN. On television, she played Georgette Baxter in “The Mary Tyler Moore Show” for which she received two Emmy nominations. She subsequently starred in four more television series. She appeared in the recurring role of Pat McDougal in the CBS comedy, “Everybody Loves Raymond”, for which she was nominated for three Emmy awards. Most recently, Georgia costarred in the Broadway and National Tour of THE DROWSY CHAPERONE. 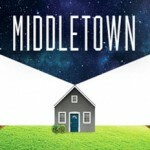 (Playwright) MIDDLETOWN (Horton Foote Prize for Promising New American Play, 2010) is receiving its world premiere at the Vineyard Theatre, New York. It will subsequently be produced in June 2011 at Steppenwolf Theatre, Chicago. 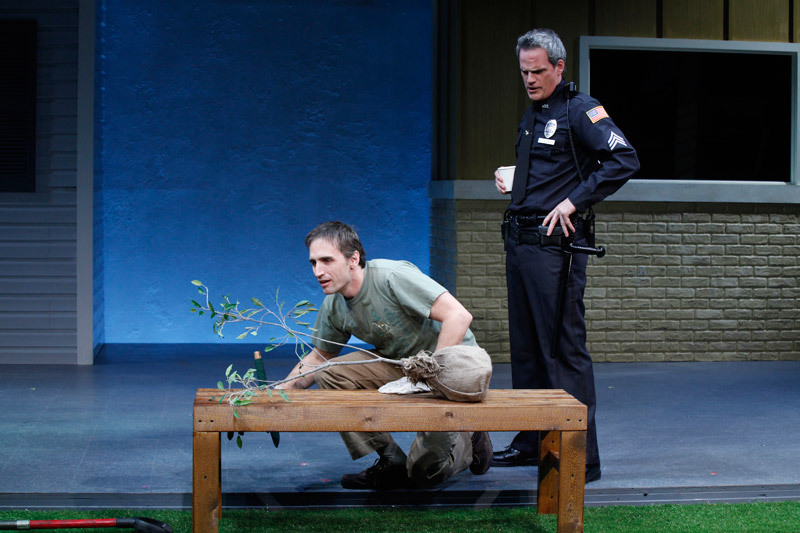 Will’s play TRAGEDY: A TRAGEDY received its US premiere at Berkeley Repertory Theatre in 2008, and his collection of short plays entitled OH, THE HUMANITY AND OTHER EXCLAMATIONS world premiered at The Flea Theater starring Marisa Tomei and Brian Hutchison. 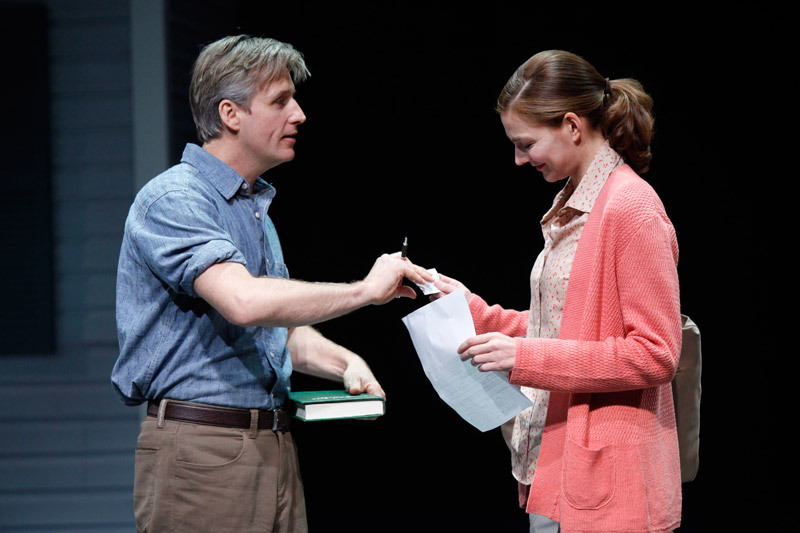 THOM PAIN (BASED ON NOTHING) was a finalist for the 2005 Pulitzer Prize in Drama. 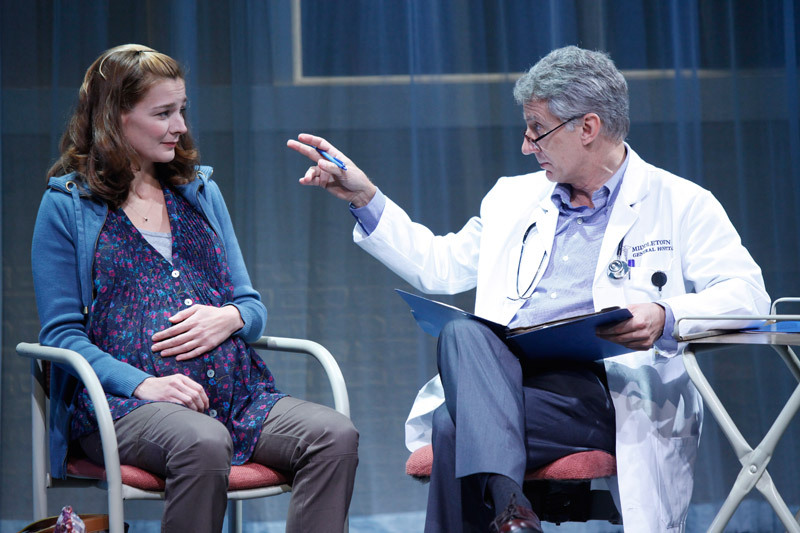 Will’s play THE FLU SEASON received the 2004 Oppenheimer Award for the best debut production in New York by an American playwright. Will’s plays have also been produced by the Gate Theatre, the SOHO Theatre and BBC Radio, in London; the Rude Mechanicals Theater Company, Naked Angels and the Ensemble Studio Theatre, in New York. 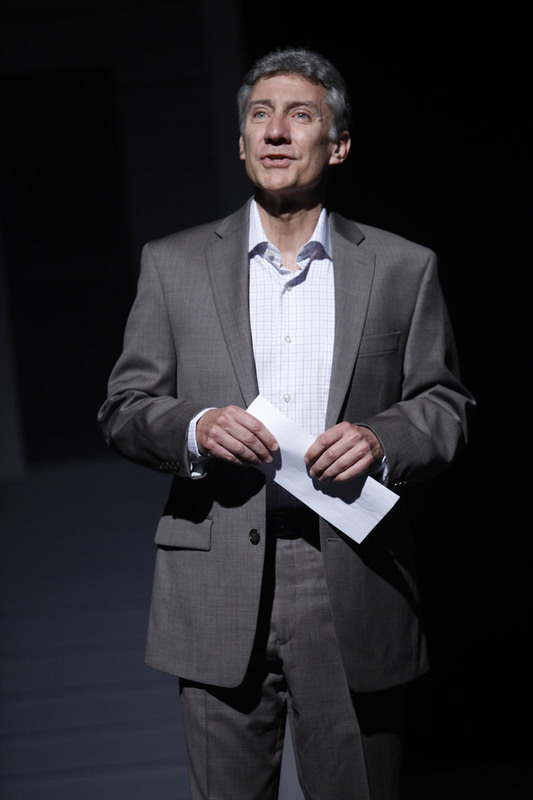 His plays are published by Oberon Books, TCG and Playscripts. (Public Speaker/Greg/Male Doctor) Broadway: WICKED (Carbonell Award), A DAY IN HOLLYWOOD/A NIGHT IN THE UKRAINE (Tony nomination), TITANIC, TORCH SONG TRILOGY, THE PIRATES OF PENZANCE, BELLS ARE RINGING. 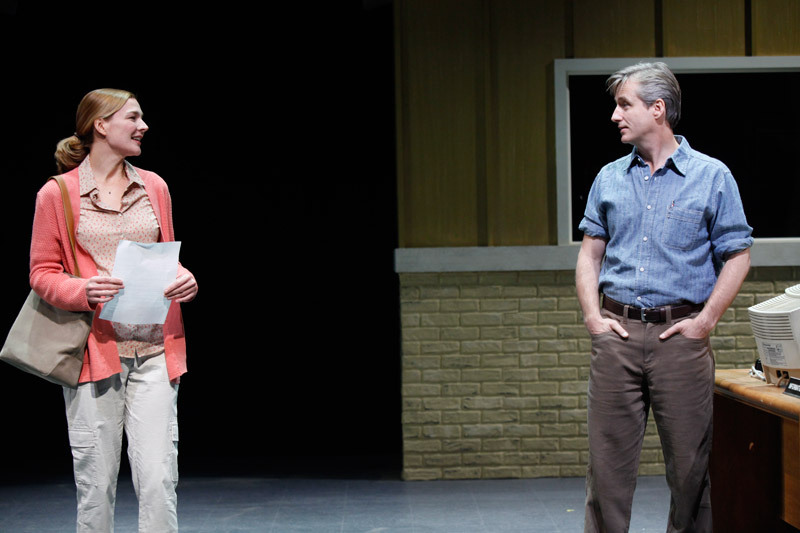 Off-Broadway: MIDDLETOWN (Vineyard Theatre)I DO! I DO! (Drama Desk nomination), THE TORCH BEARERS, GENIUSES, NEW JERUSALEM. Regional: Randy Newman’s FAUST (La Jolla/Goodman), TRAVESTIES (Williamstown), MERRILY WE ROLL ALONG (Arena Stage/ Helen Hayes Award). Television: “The West Wing,” “Law and Order,” “The Practice,” “Everybody Loves Raymond”, “NYPD Blue”, “Murphy Brown”, “Murder She Wrote”, “LA Law”, Steve Rhoades on “Married With Children”, and, for PBS, “On the Town” (London Symphony), “Ira Gershwin at 100: A Celebration at Carnegie Hall”. (Mechanic) Most recently appeared as George Gibbs in Barrow Street Theatre’s production of OUR TOWN. 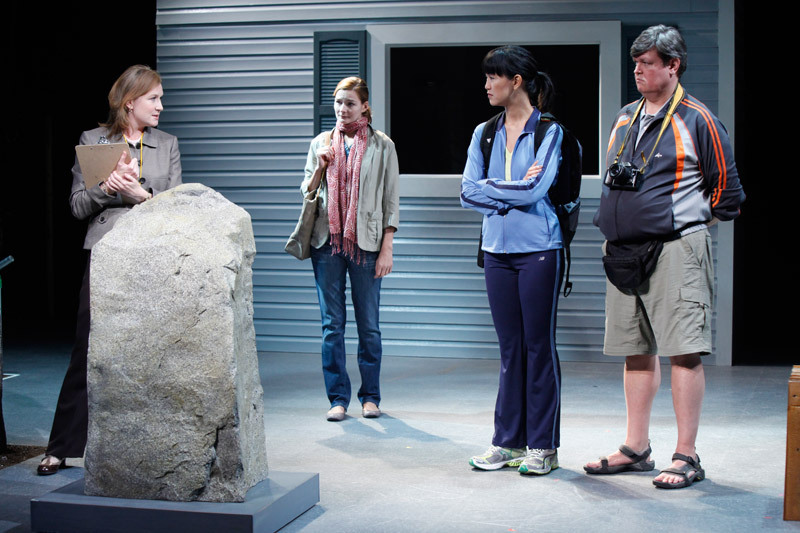 Off Broadway: MIDDLETOWN (Vineyard Theatre), BFE (Playwrights Horizons), ARMED AND NAKED, MAG-7 (Naked Angels). Regional: PRAYER FOR MY ENEMY (Intiman Theatre/Long Wharf Theatre); LOVE’S LABOR’S LOST, THE SISTERS ROSENSWEIG (Huntington Theatre); BFE (Long Wharf Theatre); CHEKHOV CYCLE, THREE PENNY OPERA, THE SKIN OF OUR TEETH (Williamstown Theatre Festival); COBB, THE ROSE TATTOO (Bloomsburg Theatre Ensemble); JOAN (Edinburgh Fringe); ANITA BRYANT DIED FOR OUR SINS (Florida Studio Theatre). TV: “Law and Order SVU”, “Law and Order”, “Guiding Light”. (Cop) Broadway: SMOKEY JOE’S CAFÉ; CAROUSEL; LITTLE ME; Encores: APPLAUSE; BLOOMER GIRL. 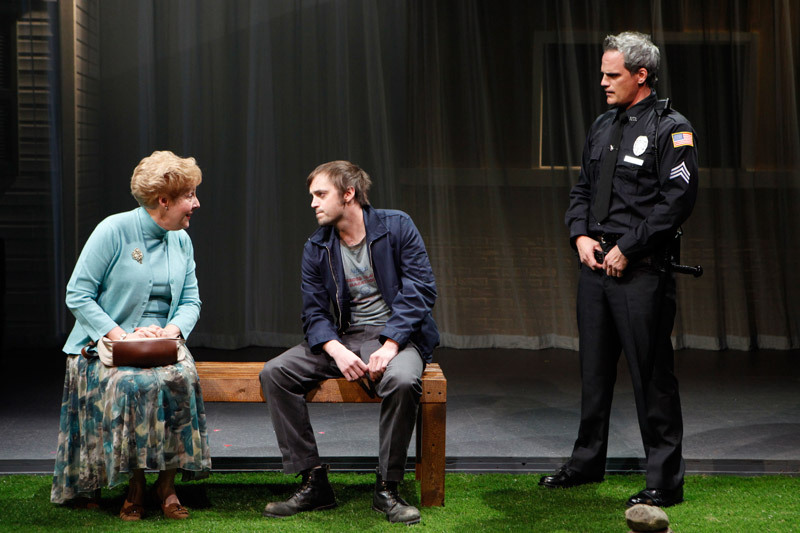 Off-Broadway: MIDDLETOWN (Vineyard Theatre), THE BURNT PART BOYS (Vineyard, Playwrights Horizons); VIOLET (Playwrights Horizons); HELLO AGAIN (Lincoln Center); MILK AND HONEY (AJT); THE LAST GOODBYE (Williamstown Theatre Festival). Cast Recordings: SMOKEY JOE’S CAFÉ; HELLO AGAIN; LITTLE ME; VIOLET. TV: “As theWorld Turns”,(2010 Emmy Winner). (Director) MIDDLETOWN (Vineyard Theatre), Wolfgang Rihm’s opera PROSERPINA (Spoleto Festival USA, American premiere), Ann Marie Healy’s WHAT ONCE WE FELT (Lincoln Center Theater’s LCT3), Ariana Reines’s TELEPHONE (The Foundry Theatre, OBIE for Direction), Kristin Newbom’s TELETHON (Clubbed Thumb), Kristen Kosmas’s HELLO FAILURE (PS 122), Jordan Harrison’s AMAZONS AND THEIR MEN (Clubbed Thumb), Anne Washburn’s THE INTERNATIONALIST (Vineyard Theatre), Rob Handel’s APHRODISIAC (Long Wharf Theatre) Kate E. Ryan’s MARK SMITH (13P), Rob Handel’s MILLICENT SCOWLWORTHY (SPF ’06), Anton Dudley’s HONOR AND THE RIVER (NY Stage & Film), Anne Washburn’s OCTOBER/ NOVEMBER (EST Marathon), Jenny Schwartz’s CAUSE FOR ALARM (NY Fringe), Erin Courtney’s DEMON BABY (Clubbed Thumb), Kim Kefgen and Loren Noveck’s GIRL BLOG FROM IRAQ (The Culture Project). Upcoming: Charles Wuorinen’s song cycle IT HAPPENS LIKE THIS (Tanglewood) and a collaboration between the Foundry Theatre and FUREE (Families United for Racial and Economic Equality). David Garrison in MIDDLETOWN. Photo by Carol Rosegg. Heather Burns and Linus Roache in MIDDLETOWN. Photo by Carol Rosegg. 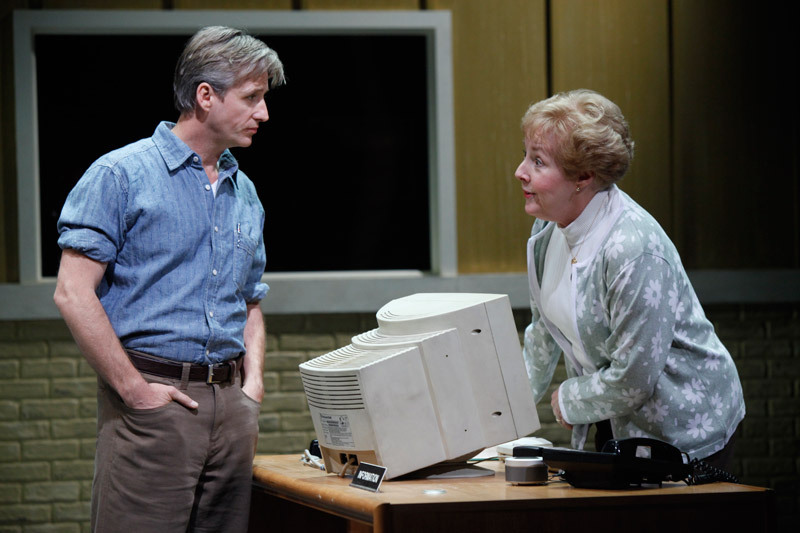 Linus Roache and Georgia Engel in MIDDLETOWN. Photo by Carol Rosegg. 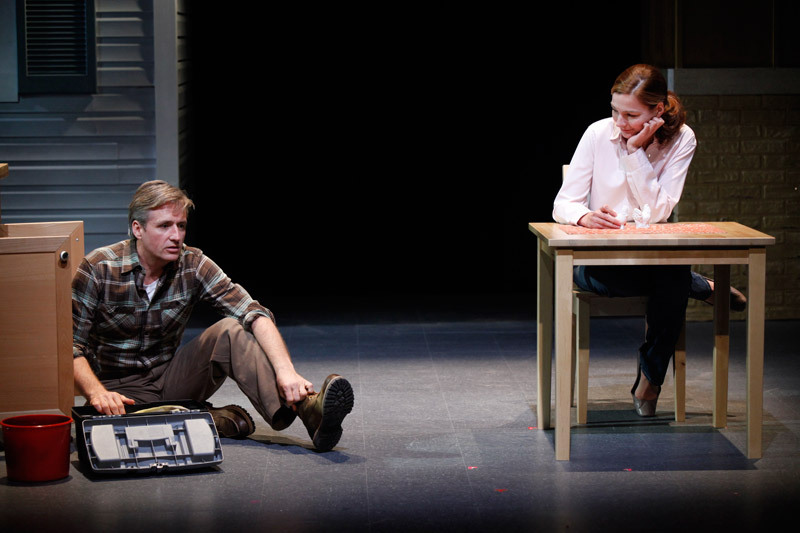 Linus Roache and Heather Burns in MIDDLETOWN. Photo by Carol Rosegg. Georgia Engel in MIDDLETOWN. Photo by Carol Rosegg. McKenna Kerrigan, Heather Burns, Cindy Cheung, and Ed Jewett in MIDDLETOWN. Photo by Carol Rosegg. Pete Simpson and Michael Park in MIDDLETOWN. Photo by Carol Rosegg. Heather Burns and David Garrison in MIDDLETOWN. Photo by Carol Rosegg. Johanna Day in MIDDLETOWN. Photo by Carol Rosegg. Georgia Engel, James McMenamin, and Michael Park in MIDDLETOWN. Photo by Carol Rosegg. “RICHLY ENGAGING AND SATISFYINGLY THEATRICAL, WITH HEART AND HUMOR. "AN EXCELLENT AND AFFECTING PRODUCTION. DEEPLY INTELLIGENT AND BEAUTIFULLY WRITTEN!"